I love all the white! That's so cool how you made the jeans into shorts. I need to try this with a pair I have. Oh such a fun shirt! I love it! You look so great! That shirt looks like it will keep you cool in the summer heat. Love it. 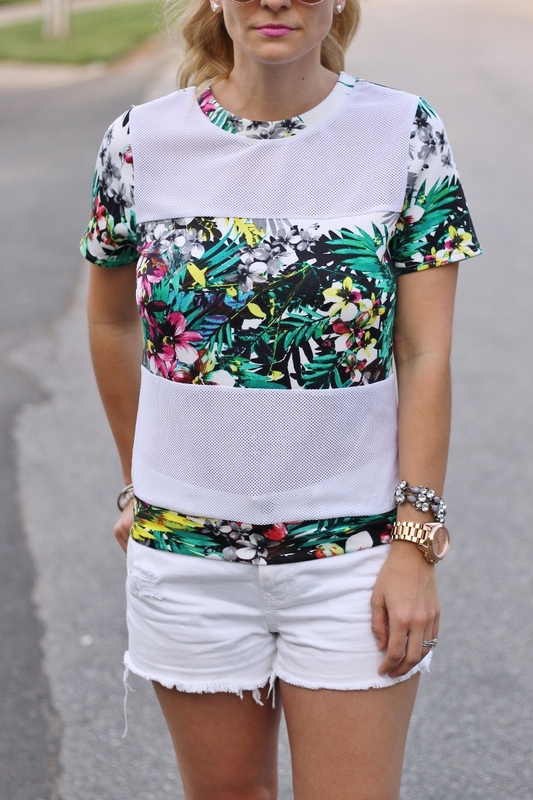 Cute top, hard to believe it comes from K-mart. You look cute! 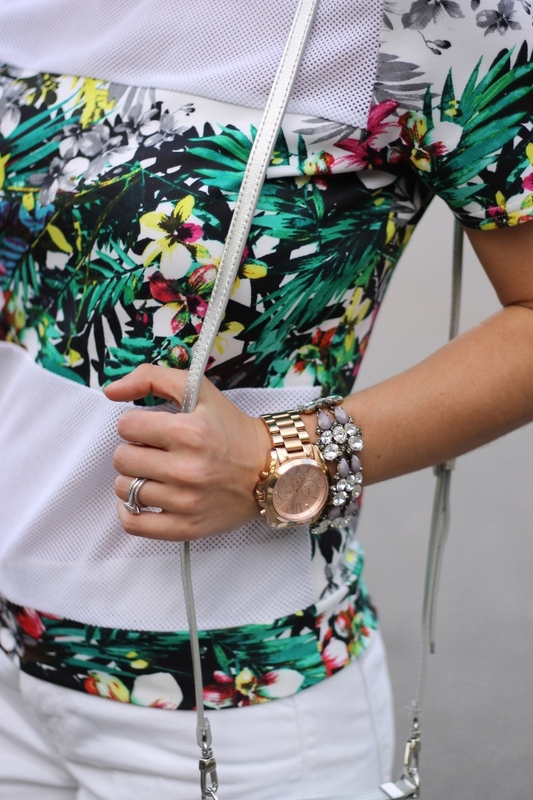 I am really liking the tropical print on this top! Very pretty!